SKE48 | IXA Ready - Fist On! Wow, what an emotionally draining event that was but I enjoyed every single second of it. First of all many congratulations to Yuko on her victory – was the result of her winning in any doubt? Nah, she won quite comfortably in the end. It was so nice of Acchan to appear and give some flowers to her. To hear her say that she was happy seeing Yuko winning the election was so touching. I nearly cried watching that!!! A big big congratulations to my beautiful oshi Umechan. I’m incredibly proud of you for getting into the senbatsu for the next single. A climb of 6 places for her. I was so happy for you that I started to cry!!! My jaw dropped when I heard Yukirin was staying at no.3 like last year – I think the crowd at the Budokan gasped as well. I never thought that Mayuyu would beat Yukirin so well done to her. Who knows what will happen next year – can she become no.1? I’m sorry for swearing but f**k you to all the Sasshi haters out there. She’s Top 4 and deserves it so get over it because she’s there to stay. Very happy with Sasshi’s placing. Another shocker for me was Jurina beating Rena. I’ve always thought that Rena was more popular than Jurina but fair play to her fans. They pulled through for her. Very surprised to see Akicha placed so low and you could see how disappointed she was. For the remainder of the election she looked so sad and downhearted. Anybody know why she’s gone down this year? I did feel sorry for her. The center of the Undergirls is something to be proud of I suppose. Tomochin seemed happier this year compared to last year’s election. I don’t think she expected to climb that much so she was comfortable with what she achieved. Other disappointments for me was not seeing Miichan in the Top 10 and Takamina not in the Top 5. When will fans realise that Takamina is the heart and soul of the group and she deserves to be in the Top 5. I did think that we were going to get a repeat of last year when Yui started to hyperventilate and it was nice of her colleagues to cheer her on as she struggled with her speech. For those members in the lower rankings – very very shocked at Lovetan’s big drop in popularity but thankfully she took the result with dignity and didn’t throw a hissy fit. Fresh Lemon was funny as always and it was great to see Kana Kobayashi, Chisato Nakata and Sayaka Nakaya appear for the first time. They looked extremely happy to have been acknowledged at last by the fans. Good to see Wasamin so high in the election as well. I look forward to seeing her as the center of Next Girls. What happened with Haruu? Isn’t she a popular member with Team 4 or are Japanese fans not too keen on her loud personality? Considering that the fans thought she’d make a better captain than Minarun I was stunned by her omission from the Top 64. Very nice speech by Mariko basically with a challenge for the younger members to step it up if they want to overtake their sempais. Let’s hear how you felt about the election. Were you happy with how things turned out or are you disappointed? 16. Ayaka Umeda – YES!!!!!!!!! It’s been quite an exciting day for me especially with the prelim results concerning my oshi but we’ll get to that later. Let’s concentrate on the phenomenal sales for Manatsu no Sounds Good first. I think the majority of us knew that they would crack the million barrier today but by how much? With 2 million copies of the single having been shipped out, fans were thinking perhaps 1.5m would be sold but the actual figure was 1,170,554 – the best ever first day sales yet and breaking another record for them. It easily beats last year’s election single which sold 942,475 on it’s first day. Who knows how much they will sell by this time next week? 14. AYAKA UMEDA (3484 votes)!!!!!!!!!!!!!!! PS – Umechan found out about her position from her mother!! She called to tell her the result. Umechan was too scared to look at the results! She’s very surprised about how well she’s doing and even cried on the phone. I’m hoping for more tears on the 6th June – tears of joy!! What’s Going On With SKE48? I checked the ORICON STYLE website at lunchtime to have a look to see the 1st day sales for SKE48’s new single Aishiteraburu! and was astounded by the very low sales they achieved. I did have to look twice if my eyes were deceiving me. They only sold 98,952 which is very odd as usually you expect something over 250k. Even Nogizaka 46′ last single did better on the first day! So what the hell has happened? Is the single not good enough or are fans saving up their money to buy multiple copies of AKB48’s single next week in order to cast many votes in the senbatsu election? It’s possible that the Theater Editions hasn’t been shipped out yet or that’s what many fans are saying but if sales don’t improve in the next couple of days this would be embarassing for SKE48 who have seen their sales steadily building up with their past couple of releases. Another problem is the stupid amount of releases that are being churned out weekly by not only the main 000 groups but sub-units/solo artists as well. Management need to look at the dates with single releases and try and space them out better in the calendar year. It’s just been one release after another recently and this isn’t the first time for this to happen. Don’t they realise that the majority of fans aren’t rich and we can’t afford to buy every single that comes out especially with multiple versions. Money doesn’t hang off trees that we can just pluck off like leaves and happily trudge off to the shops to buy the CD’s. I have to choose carefully what I buy and the releases that I do miss out I usually buy when I visit Japan. Anyway I did go off on a rant there but I really hope that SKE48’s sales will pick up before the weekend. Next week will see AKB48 release their newest single and with it comes the all important voting slips for you to pick the member you want to see as being the center for the 27th single which will be released in August. With Acchan out of the election, it is obvious that Yuko will take Acchan’s crown as no.1 but as for the rest, there is no doubt there will be many members jockeying for positions and where they will end up in the Top 10 isn’t that easy to predict. I don’t think anybody will stay in the same position they were last year and I’m sure there will be a surprise or two come the election results on June 6th. As much as I would love to see my beloved oshi Umechan in the senbatsu I don’t think it’s going to happen but I’m staying loyal to her and will cast my 2 votes to her. I think she will improve on the no.22 position she achieved last year, possibly up to no.16. Sasshi has had a phenomenal 12 months and I think this will show and she will make a major move up from no.9 last year to possibly no.2 but it’s going to be a close run thing with Mayuyu. I know that Mariko usually does well in the elections but I can see her dropping a place or two this year. Another surprise which I’m predicting is finally Miichan hitting the Top 10. I can’t see Jurina or even Sayanee/Milky denting the Top 10 but I’m guessing they will make the Top 16.
Who do you see in your Top 10 for the election? Did Jurina Have A Seizure During Fukuoka Performance? From a magazine article, it’s been reported that SKE48 member Jurina Matsui collapsed and had a seizure after a performance at the HKT Theater last month. It’s been said that Jurina hasn’t been well for a while and that the toll of having a busy workload finally caught up with her. She could barely move apparently after the final song at the show (her right leg had been strapped due to it feeling tight) and had to be physically helped off stage by the SKE Theater Manager and fellow Team S member Kanako Hiramatsu. Is it too much to ask for somebody that’s only turned 15 years old to be given a rest sometimes. The girl’s schedule is punishing and probably Jurina herself wouldn’t want a bit of a break thinking it would cause problems but if she doesn’t then I’m afraid her health will suffer. She did take 3 days off to recover thankfully after this incident. Jurina has to know her own limits. 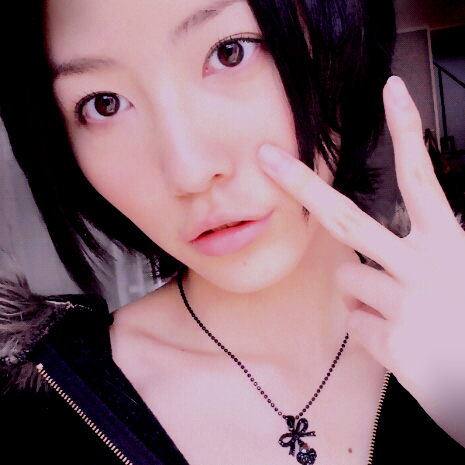 Please Jurina for your own sake, take extra care of your health and don’t do too much. You feel that as the center of SKE48 that you can’t let people down but you’re only human after all. The fans want to continue to see your smile and energy so if you’re not feeling well take some time out. It’s worrying me a bit as I’d hate for Jurina to be laid off long term.